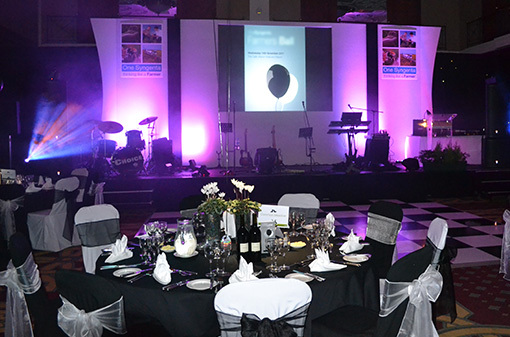 Impact Event Production has produced conferences, award shows, gala dinners and events throughout the UK and mainland Europe for globally known pharmaceutical companies and leading trade associations. We can arrange celebrities to host the show, and can advise you on appropriate music etc. Equally Product Launches need to be slick and seamless. We work regularly with two partner companies who can create amazing, innovative videos and fabulous opening stings. Here at Impact Event Production, we work with creative and advertising agencies throughout the UK to brand your stage set and lectern.